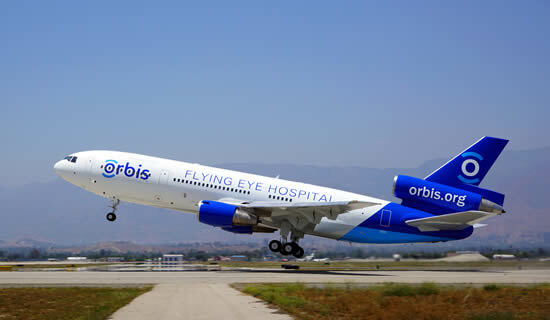 Award winning private aviation travel company ConnectJets, and premier flight support solutions company, Flightworx, have thrown their support behind blindness prevention charity Orbis UK, to help raise awareness for their See My Future appeal. Rebecca Cronin, Orbis UK CEO commented: “With a simple eye exam and a pair of glasses, a child’s life can be transformed. Clear sight opens up a future of possibilities - children can return to school, play with their friends and contribute to society, breaking the cycle of poverty. “With the UK government’s Aid Match scheme, our See My Future appeal really will have twice the impact - just £5.50 doubled to £11 could provide two new pairs of glasses for children struggling to see in school. Orbis UK is the official charity partner of the 2020 Farnborough International Airshow. Discover more about Orbis at www.orbis.org.uk.